I can’t place exactly when black bean brownies came on the scene. Maybe it was something cooked up by Jerry Seinfeld’s wife – you know, the one notorious for her putting vegetables in all sorts of inappropriate places? Or maybe it was The Happy Herbivore, the first place I ever saw them. Either way, they have become a staple of the “tricked-you-this-is-actually-healthy” dessert genre. While I enjoy healthy desserts as much as the next healthy living blog addict, but my philosophy on healthy desserts is to keep them to yourself. For two main reasons. 1) You made them for yourself. You took the time to shop at the health food store, dropped a bunch of cash on chia seeds and maca powder then spent all afternoon in the kitchen so that you could enjoy a delicious baked good without feeling like garbage afterwards. Keep half the batch in the freezer if you need to but you deserve to enjoy the fruits of your labour. 2) When you push a bite of a “healthified” treat on a friend or a co-worker and then surprise them with its secretly beet-infused contents, you’re not sharing you’re looking for validation. If they don’t enjoy the treat, it will probably make you feel self-conscious and judged. If they do enjoy it, you’ll feel proud and like you beat the system. Either way, who cares what they think? Wasn’t it supposed to be a treat for you in the first place? Obviously you should offer a bite to a pal if they ask, but maybe just let them try it and spare them the ingredient list? Here is a recipe that’s just for you. 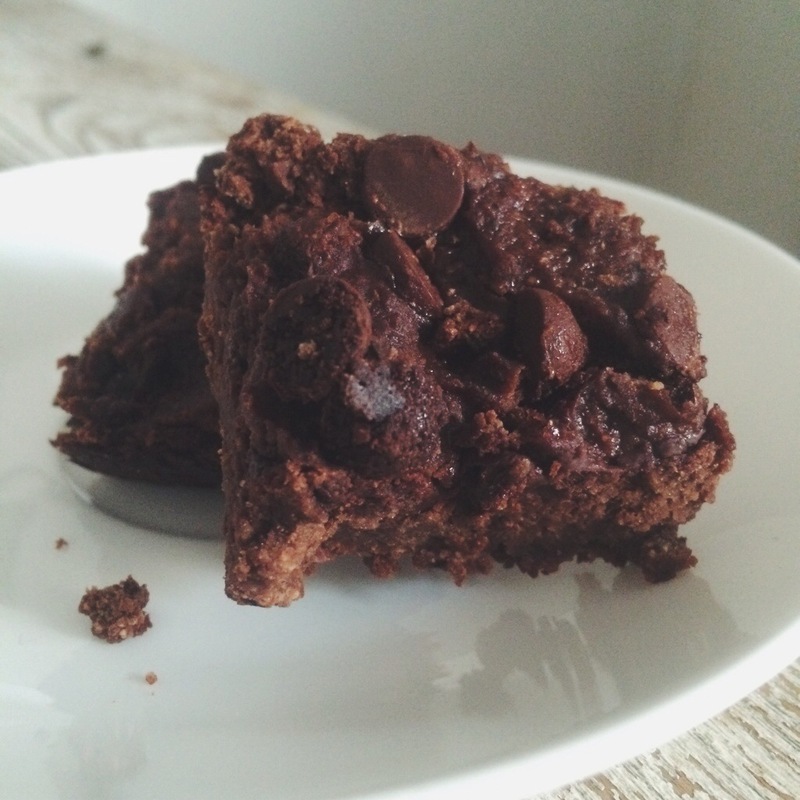 These are nice, dense chocolatey brownies that – no secrets here – are made without any sugar and are loaded with fibre. I have a feeling you’re exactly the kind of person who will appreciate them. *If your dried fruit is too firm, simply place it in a bowl and add some boiling water. Let it sit for 5 minutes then drain. Place dried fruit, cocoa, beans and almond milk into your blender and blend on high until smooth.